I've always been a fan of lip balms and lip glosses. I will choose them over lipstick any day of the week. I learned the hard way, though, that all lip balms are not created equal. As much Chapstick or Burts Bees as you slather on, your lips are never actually healing or retaining moisture. 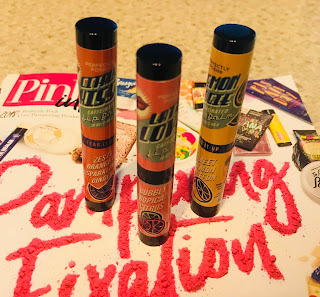 Instead, the drying agents included in these balms, the same balms that claim to hydrate and nourish your lips, are actually drying them out further and creating a viscous cycle of reapplication. But worry no more! I've found something that actually works!!! Natural ingredients that actually hydrate and nourish your lips. No drying agents or alcohol in this balm. No mad need to reapply over and over and over without ever feeling soft, moisturized lips. Fun flavors and scents sold at a budget price. It doesn't get much better than this! First time hearing of this brand. I’ll have to check this one out. I'll have to show this to my daughter. Just bought her blister today. She has a chapstick habit too.